Zainab Chottani Lawn Independence Day Mera Pakistan collection 2015 for women to celebrate the happiness of the Jashne Aadazi day in Pakistan. Dress to celebrate the Pakistan day in this white net paneled shirt with authentic 2 and 5 rupees Pakistani coins embellishment on the bodice with an embroidered Pakistan look on the back. The day of 14th August the independence day of Pakistani known Jashne Aazadi day in Pakistan will bring green colors in your life. LSM Fabrics new Zainab Chottani ”Pakistan Zindabaad” dresses 2015 for women have freshly released. This is a of Zainab Chottani midsummer wear Mera Pakistan collection 2015 which have launched but available from 05th August 2015 nationwide. Go green this independence day in this front open net shirt with original 5 rupees Pakistani coin embellished as buttons on neckline and sleeves. Silver and gold embroidered work on the cuffs and back enhances the look. LSM Fabrics is also known as Lakhany Silk Mills. They have released a wide range of wedding wear dresses latest 14th august season 2015 for girls. 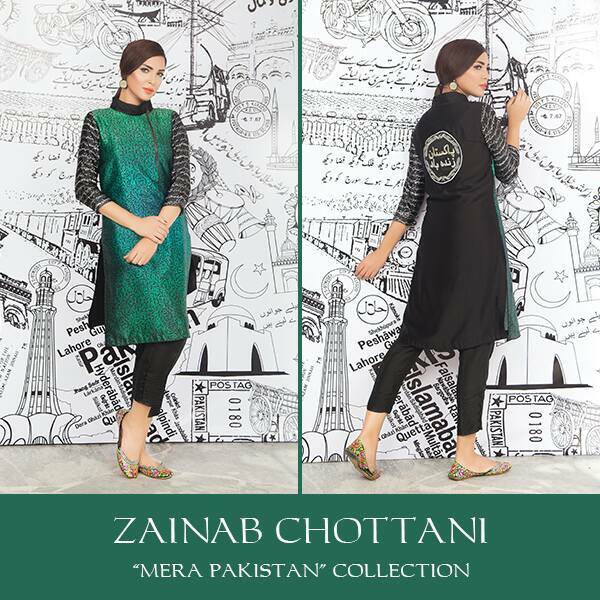 Their Zainab Chottani “Pakistan Zindabaad” dresses 2016 can be seen over here below. LSM Fabrics is one of the Pakistan’s most important and difficult fashion brand. Lakhany Silk Mills is a fashion tag who offers seasonal and occasional dresses 2016 for women. This digital print green charmeuse shirt has Urdu letters printed on the front, and the famous poetry is printed on the sleeves. The back of the shirt itself says ‘Pakistan Zindabad’ in urdu. They always offer high quality clothes in trendy stitching styles. 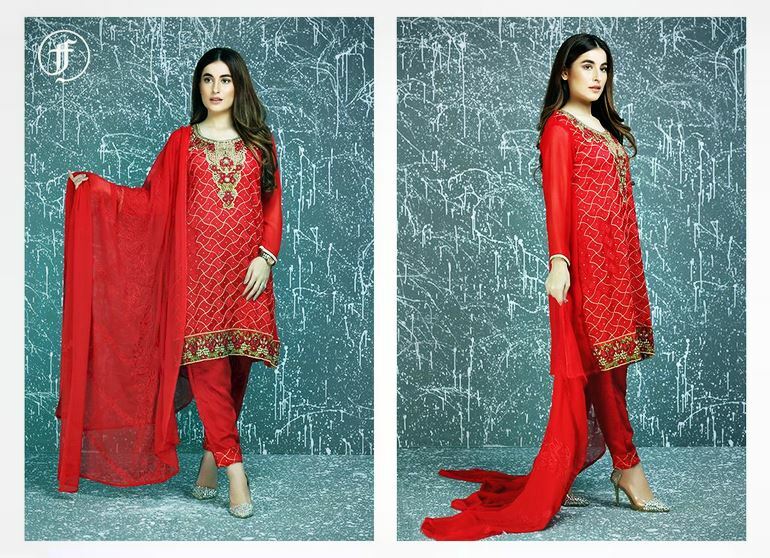 LSM Fabrics has launched so many Mera Pakistan collections for summer wear season 2015. Now they are going to launch another Zainab Chottani “Pakistan Zindabaad” dresses 2016 Mera Pakistan collection for women. This Mera Pakistan collections includes dresses of lawn printswhich are looking good-looking and graceful both. LSM Fabrics has intended these all Zainab Chottani “Pakistan Zindabaad” s dresses 2015 with lovely stitching styles such as long straight shirts and knee length shirts. These all shirts are pairing with tights and straight trousers. These all Zainab Chottani “Pakistan Zindabaad” dresses 2015 have decorated with modernity yet simplicity. The colors you can see in this Mera Pakistan collection are bright such as green, blue, red, orange, purple and so many more.